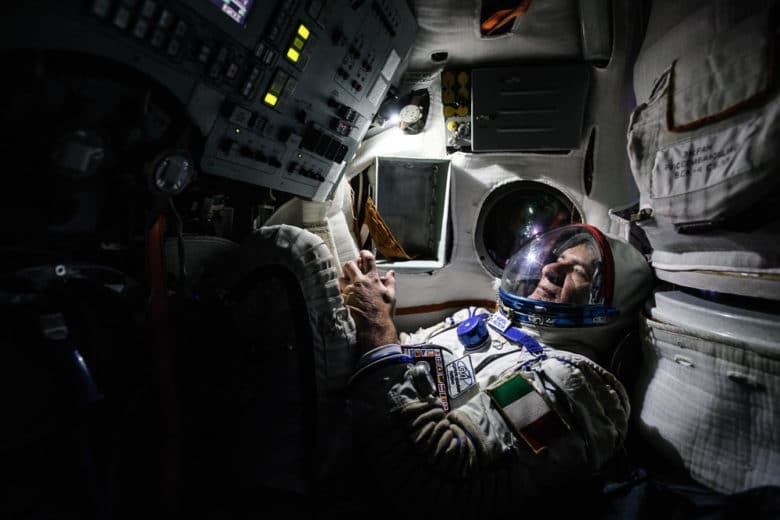 The flashlight mode on an iPhone helped the photographer light the simulated workspace of European astronaut Paolo Nespoli. We’ve all used the iPhone flashlight to shine on a keyhole or search for change dropped in a dark room. 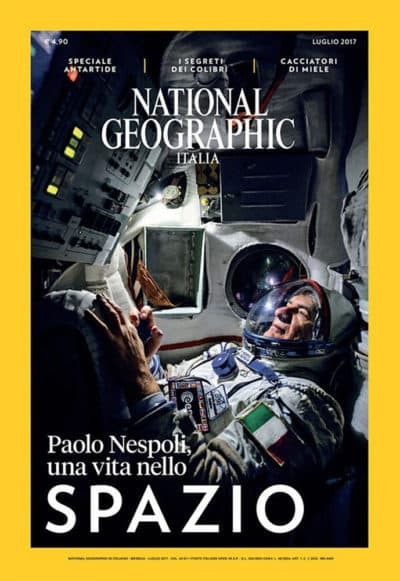 Alessandro Barteletti used his to land a cover picture for National Geographic. Barteletti’s photo of an astronaut training in a Soyuz launch simulator graces this month’s cover of the Italian edition of the venerable publication. The shot almost didn’t happen. The widely respected aviation photographer was following Paolo Nespoli. The European astronaut is training to become the first 60-year-old to fly a six-month space mission. The Russian space agency granted Barteletti access to photograph Nespoli in Star City, Russia. This month’s cover of National Geographic Italia. Barteletti is used to figuring out how to work in tight spaces. The aviation photos on his website speak to his creativity and know-how for getting seemingly impossible shots. But he never anticipated the complications in the simulator room when the area suddenly went completely dark. He was then told he had just one minute to shoot before he had to leave. Barteletti’s lighting gear was outside the room and if he left to grab it, officials would bar him from getting back in, Barteletti told the photography website DPReview. Having a photo of Nespoli in the capsule was a must for a photo story on an astronaut in training. He barely had time to think. “I had an idea, one of those crazy ideas that only come to you when you are desperate,” Barteletti told DPReview’s DL Cade. “I took my iPhone – the only electronic device I had with me – I turned on the torch, and I put it between two panels behind the astronaut. He fired off four frames with his Nikon D3 – two wide shots and two portraits – before officials told him to leave the simulator area. The light on an iPhone, as a flash for photos, is often too harsh to use, mobile photographers say. In this case, the iPhone’s flashlight reflected enough continuous light off the simulator’s walls for Barteletti to say mission accomplished. Note: Barteletti gave Cult of Mac permission to use the photos.